Nevius' Stone-Crop. Sedum Nevii, Gray. Natural Order, Crassulaceae. EDUM is a name used by Pliny and other old Roman writers; and Ainsworth and other lexicographers apply it to our common Houseleek, - Sempervivum tectorum. The old English writers knew no difference between Sedum and Semper-vivum; and Houseleeks and Stone-Crops, such as we understand by Sempervivum and Sedum, were mixed together by them, so far as these Latin names are concerned, although they had a separate place in their works for Houseleeks, as distinct from what they thought Stone-Crops to be. This little piece of history is important in connection with the origin of the name Sedum, which all our text-books tell us is from sedeo, the Latin verb "to sit," and is supposed to have been given to these plants from the habit of growing on bare rocks, sitting, as it were, on them; but we must remember that the name is a very old one, and was merely adopted by Linnaeus, because he found it in connection with these plants. We must suppose that there was nothing particularly novel in a plant seeming to sit down, as if it had no roots, for there are many plants which would convey the impression of sitting down quite as vividly, if not more so, than this one, and we shall, therefore, have to look to some more plausible reason for the origin of the name. It seems much more probable that it comes from sedo, "to assuage," and has reference to the healing properties of the Houseleek, which latter, as already noted, is regarded as the original Sedum. The Houseleek, indeed, has been for ages one of the most popular remedies for relieving pain. 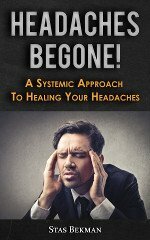 An old herbalist says of it, "The leaves, bruised and laid upon the crown or fore part of the head, stop the bleeding of the nose very quickly; and being applied to the temples and forehead, it eases the headache, and allays the beat and distemper of the brain through fevers, frenzies, or want of sleep. The green leaves allay all sorts of inflammations in any part of the body, as in erysipelas or Anthony's fire, and all other hot eruptions of the flesh and skin; and when applied to the sting of nettles or of bees, it presently takes away the pain." Indeed, it is because of its great use in burns and scalds that it is so commonly found in old-fashioned gardens, grown by old-fashioned people, who have more faith in herbs at hand than in the prescriptions of physicians. With this popular impression of the value of the Houseleek, and the connection of the plant with the ancient appellation Sedum, it seems probable that sedo, and not sedco, is the root of its name; and this becomes still more probable when we note that c is used long, and not short, as in sedentary, as it would probably be if the two words were really derived from the same root. The name Stone-Crop may, perhaps, have been derived from the plant "sitting" on stones. The old Saxon word crop signified the top of anything, as when we say the "rock crops out," we mean we see the top of the rock above the ground; and as many of the rocks of England are "cropped" with Sedums, and cropped by them in a very beautiful manner in many instances, there is no difficulty in accepting this as the origin of the common name. Many of the old-world Sedums have a hot, biting taste, as for instance the S. acre, or "Love-entangle" of old gardens. Giving, rather than assuaging, burning sensations, as the original name suggests. But no mention is made by any author of any particular qualities, good or bad, in connection with American species. They will, therefore, be of interest chiefly to the lover of the curious in nature and the cultivator of flowers, to whom all the species are very welcome. Our present species is one of the handsomest of American kinds. It has not long been known, having been discovered within the past twenty years by Dr. R. D. Nevius, a clergyman of Alabama, on rocky cliffs near Tuscaloosa in that State. The botany of the South has not yet been well worked up, and zealous collectors are continually finding new species which have wholly escaped the notice of others before them, or new locations for some that have been supposed rare. Since Dr. Nevius found this plant, Mr. Wm. M. Canby has collected it on Salt Pond Mountain in Virginia, and Mr. Howard Shriver on the rocky banks of the New River, still farther north, and it is quite possible that it may be found abundantly in many other places in the great Alleghany range. 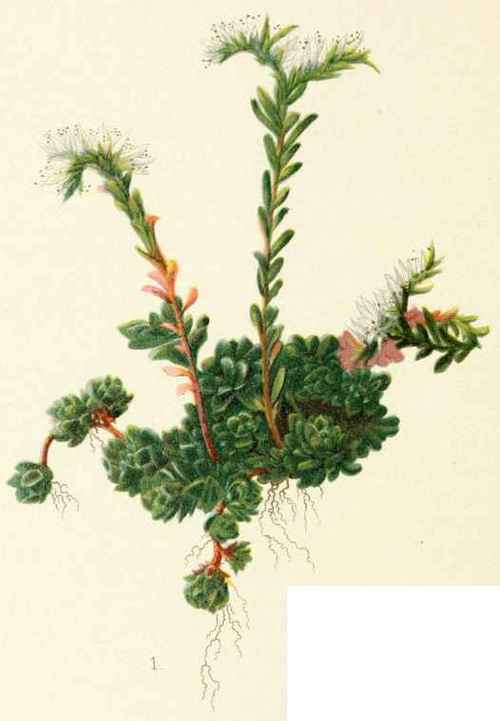 In regard to its beauty when growing in its natural location, Mr. Shriver thus spoke of it in the first volume of the Botanical Gazette, at the time of his discovery on New River: "Our cliffs are now (early spring) covered with saxifrage, draba, and a variety of Sedum with snowy flowers. The stems shoot up from amid rosulate leaves, which are obovate or very short spatulate, often not rounded, but wedge-shaped, giving the idea at first of Draba ramosissima. Stem-leaves spatulate to linear spatulate, close set on the high simple stem, and more sparingly on the three branches at the summit. Parts of the flower in fours (the centre one in fives), ovate-lanceolate, somewhat pointed petals twice the length of the ovate blunt sepals. It is probably S. Nevii, which Mr. Canby found on Salt Pond Mountain." Our full-face view of an enlarged flower (Fig. 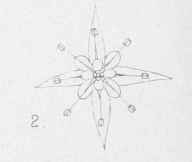 2) accurately illustrates the plant as described by Mr. Shriver, although the specimen from which the drawing was made, and for which we are indebted to Mr. Jackson Dawson, of the Arnold Arboretum, was a cultivated one. It will be observed that Mr. Shriver's description differs a little from Dr. Chapman's, which we have adopted, as to the relative length of the sepals and petals; but as Dr. Gray makes no reference at all to the sepals or petals, it is probable there may be variation in this respect, and these characters may therefore be of no specific importance. As a general rule, Sedums in cultivation like exposed and warm, dry places, but this is true only of the kinds which are found naturally in low regions. Mountain kinds, though they do like open places where there is full light, as a general rule do not like a high temperature. In the effort to cultivate this species made by the writer, it was placed in a piece of rock-work, with a large number of European species, but it gradually dwindled away. In the culture of Sedums we have found that, in spite of their succulence, they seem very grateful when suffered to grow where they can get abundant moisture as well as light. But this moisture must be only for the foliage; for if the roots be in the least stagnated with water, the plant suffers, - rots away in fact. The most successful Sedums we ever saw were on a ledge of rock; but they were continually washed by spray from a fountain near by, and thus kept up a beautiful, carpet-like green mass of herbage. Besides the discrepancy between the characters of the sepals and petals in the plants seen by Mr. Shriver, and those described by Dr. Chapman, there seems to be some variation in the time of flowering. Dr. Gray says the flowers appear "three or four weeks later than" those of Sedum ternatum. But Dr Chapman says S. ternatum flowers in May and June, and S. Nevii in April and May. In Nevii the specific appellation is of course derived from the name of the discoverer of the plant, Dr. Nevius, and we may therefore give for its common name "Nevius' Stone-Crop." 2. Full-face view of an enlarged flower. next: Great Fringed Orchis. Platanthera Fimbriata, R. Br. Natural Order, Orchidaceae.